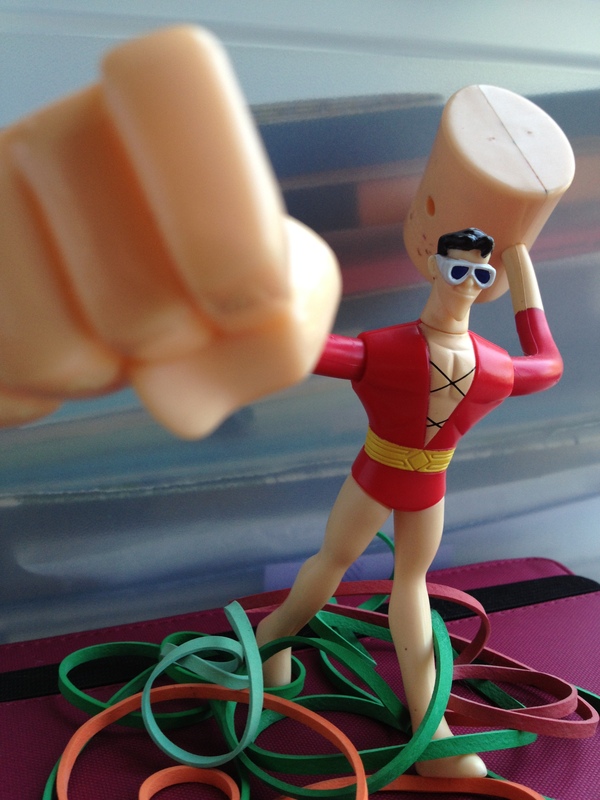 It’s Plastic Man on parade! Honestly, I’m not showing off. In this case I’m pointing my imaginary Meerschaum directly at Russell Burbage, who runs the Seigi No Nakama blog and writes and draws the original Friends of Justice series. Russell is also an active and longtime member of a community of bloggers and podcasters (originally centered around the Fire and Water Podcast) that’s made up of a great bunch of people who continually stun me with their support and enthusiasm for each other’s projects. Russell, of course, is a big part of that. 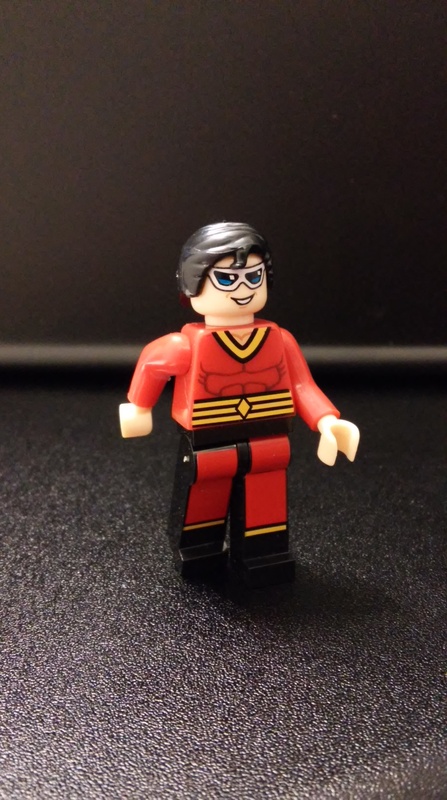 A couple of months ago (I meant to write this up a while back), Russell sent me a note out of the blue asking if I’d like the Super Powers Plastic Man figure. Not if I’d be interested in buying it, just if I wanted it. Give me your address, he said, and it’s yours. He didn’t know it, but I had just been pining over that same figure in one my local comic book stores. I would have loved to buy it then, but it came with a budget-busting price tag. And now here was a guy I’d never really talked to before just offering it to me. Here. I think you’ll like this. It’s yours. Thinking about it now, I’m stunned all over again. The real surprise came a few weeks later, though, when the package arrived. 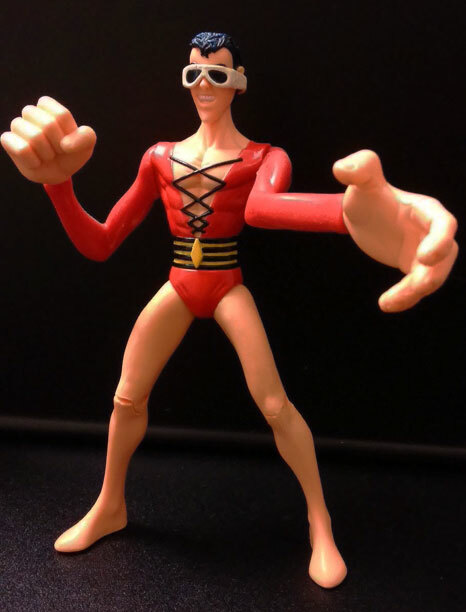 Not only was the promised figure included, but there was also a card featuring the Plastic Man stamp design, another with the Super Powers bio, the Super Powers figure itself, and ANOTHER PLASTIC MAN FIGURE! Eeyow! And this one was the DC Direct figure, complete with removable goggles and flippy-floppy rubber arms. If you just said to yourself, “Whoa! That’s awesome!” then we are in complete agreement. Again, this was generous beyond words — so here are some pictures! 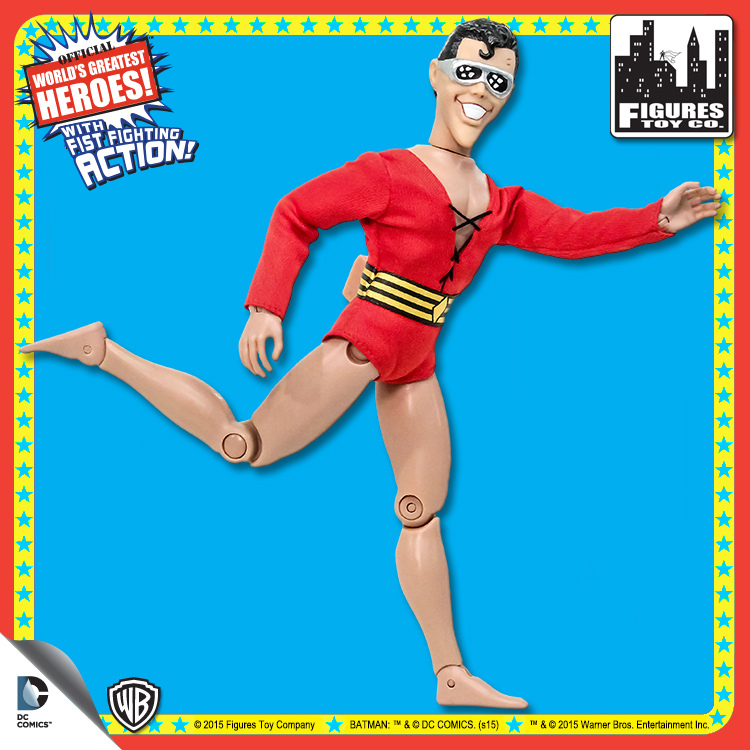 The Super Powers figure (with super neck-stretching action)! OK, maybe I am showing off just a little. After all, how often does someone get to brag about what great pals they have? Thanks again, Russell! 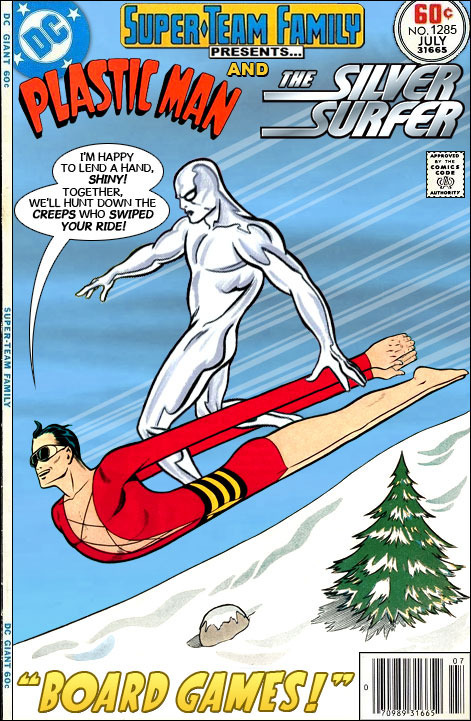 As you may have noticed, there haven’t been any new posts here at It’s Plastic Man for a while, and regular posting was becoming suspiciously irregular before that. 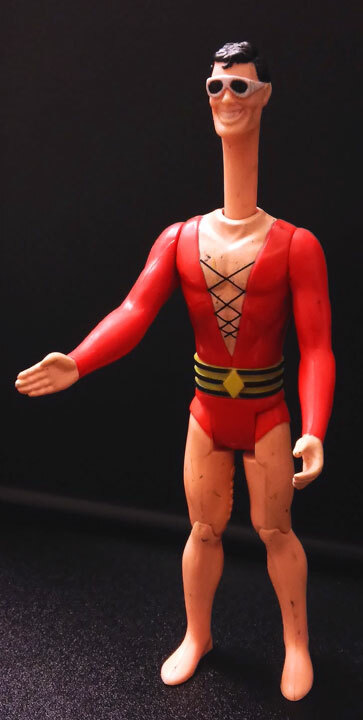 I’ve mentioned it in passing, but I realized I never actually said it here, so I want it to be clear: It’s Plastic Man is not on hiatus, and it is certainly not abandoned, dying or – eeyow! – dead. Let me pull the curtain back for a sec. I make a living as a freelance copy editor and writer, and occasionally I take on more long-term work as a contractor. Which is what I’m doing right now, as a copy editor with a state agency that works closely with the state legislature. I’m not going to bore you more than I already am; the upshot is that at the moment my job is basically a blur of 10-to-12 hour days, six days a week, and that’s been the case for the last three weeks or so. Guys, when I get home I’m tired. But! The current workload should only be like this for the next couple of weeks, and then drop off pretty dramatically after that. Once that happens, I’ll be able to start posting on a regular basis again – hooray! And even before then, we’ll be looking at the release of Plastic Man and the Freedom Fighters #1 next week, and you can bet I’ll have something to say about that. 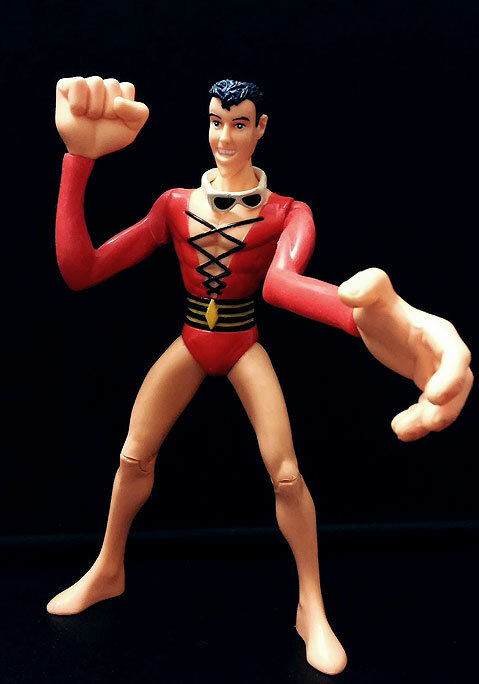 In the meantime, thanks for your patience and be sure to stick around – like the always-adaptable Plastic Man himself, you can’t keep this site down for long!